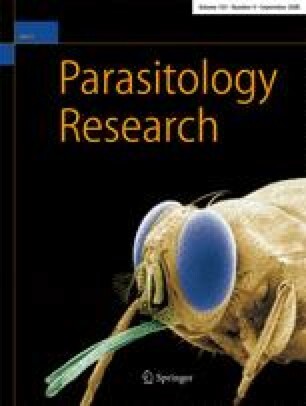 Histomonas meleagridis is a 10–20 μm-sized flagellated protozoan, causing histomoniasis in gallinaceous birds. Different strains of H. meleagridis from different origins were used to establish clonal cultures, which can be traced back to a single cell. Cells from these clonal cultures were examined by transmission electron microscopy. Results gave detailed insights in the ultrastructure showing a single flagellum, a band of microtubules remnants of an axostyle or of a costa, respectively pelta, hydrogenosomes, nucleus, spindle apparatus, and other organelles of the trophozoites of H. meleagridis. We are grateful to the support of the King Saud University in Riyahd, Saudi Arabia.